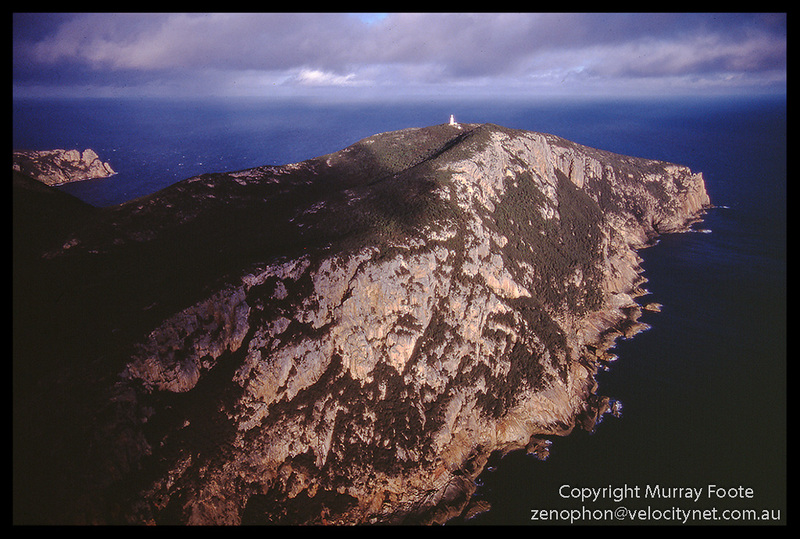 Deal Island is a large island on the eastern side of Bass Strait about half-way between Tasmania and Victoria. I visited there in 21 July 1987. 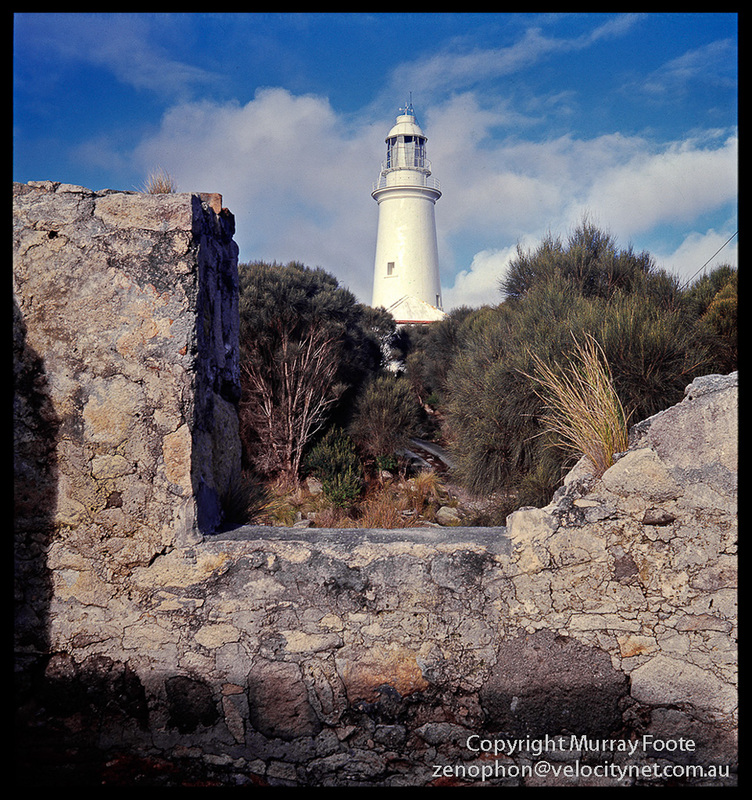 The lighthouse at Deal Island was built in 1847 and the chief architect & builder was a convict, Charles Watson, who was transported to Van Diemen’s Land (now Tasmania) in 1827 for receiving stolen goods. The lighthouse is twenty metres high and it did not need to be very tall as it is situated 280 metres above sea level and is probably the most elevated lighthouse in the southern hemisphere. However, its very elevation meant that it was often obscured by cloud or fog. Originally there were two cottages near the lighthouse for assistant lighthouse keepers who at least initially were likely to be convicts. 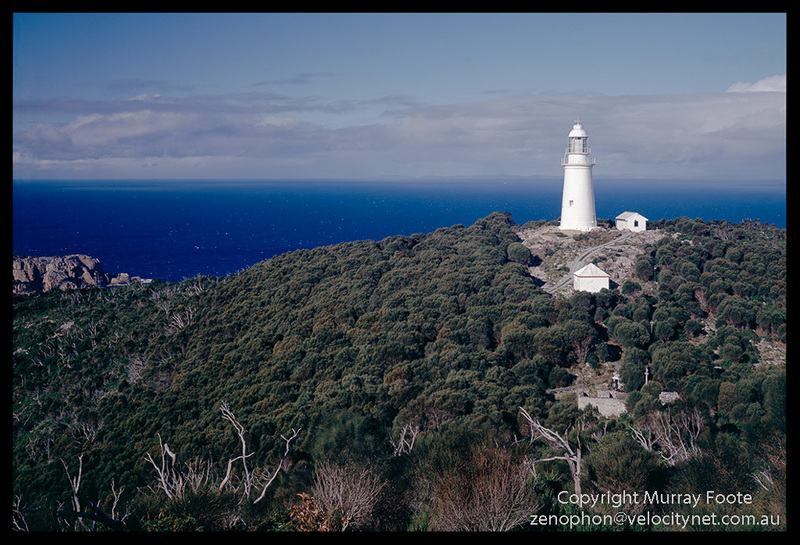 (I think the keepers explained the convict presence when I was there but this was not uncommon for the early lighthouses of Van Diemen’s Land). So here we see the lighthouse from the window of a ruined cottage. The alignment of the window is likely to be no accident so the keepers could look out and check that the light was going. Their location near the top of a hill did also make them occasionally susceptible to bush fires. Deal Island Lighthouse and Cottages. Probably Vivitar Series 1 28mm f1.9. (Low res scan from book). Originally the Head Keeper had a comfortable cottage down near the sea while the two assistant keepers stayed in the cottages near the top. Access to the lighthouse from the Head Keeper’s cottage or the wharf was by horse and cart or by walking so would have taken a while. Much later, access to the lighthouse by motor vehicle became possible so the second and third cottages were relocated near the Head Keeper’s cottage down below in 1936 and 1960. Postscript: I had this image wrongly filed under another lighthouse so I add it later. 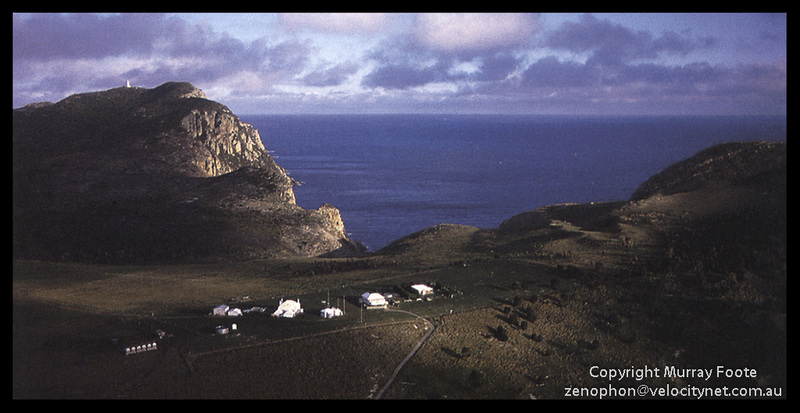 This is a view from past the settlement near the coast looking along the cliffs to the lighthouse. It dramatically shows how isolated the original keepers who lived up near the lighthouse must have been and how long it must have taken to walk between the lighthouse and the Head Keeper’s cottage. This entry was posted in Australia, From Dusk Till Dawn and tagged Architecture, Australia, Deal Island, History, Landscape, Lighthouses, Photography, seascape, Tasmania, Travel. Great photos again, Murray… I’ve just looked up Deal island on a map… good heavens! How remote! Thanks Lois. Yes, a wonderful, largely wild island, particularly remote for those living near the lighthouse in the nineteenth century. Are there any inhabitants? And do they get many visitors… I just wondered if it is a place for tourists? In 1987, there would have been just one keeper and his family. There are three cottages altogether and there is probably someone from Tasmanian National Parks living there these days. Those are the only buildings on the island and for that matter on nearby Dover and Erith Islands as well. Visitors would come in yachts I would think and I expect there would be no services to the islands and no tourists.